The move is not only a significant step forward in restoring security nationwide and ensuring the nation’s territorial integrity, it is also a significant step toward turning the tables on the very interests who provoked and have perpetuated this conflict since 2011. 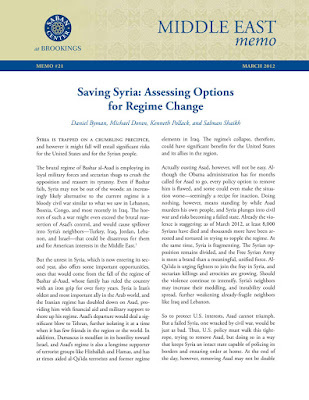 US policymakers as early as 2012 openly declared their intent to partition Syria through the use of “safe zones” or “buffer zones.” From these zones – established with and protected by direct US military intervention – militant proxies would attempt to expand deeper into Syrian territory until the nation could either be toppled entirely, or sufficiently partitioned, effectively eliminating the Syrian Arab Republic as it was known before the conflict began. It was clear in 2012 and being demonstrated on the ground by 2015 that US commitment to this policy of creating “safe zones” was complete. The nearly full manifestation of this policy can be seen in northeast Syria, where the United States has military forces literally occupying Syrian territory while US forces accompany Kurdish and Arab militants as they push southwest deeper toward Syria’s heartland, supposedly fighting ISIS. However, even within the deepest Kurdish-held regions of Syria, the Syrian government maintains a presence. 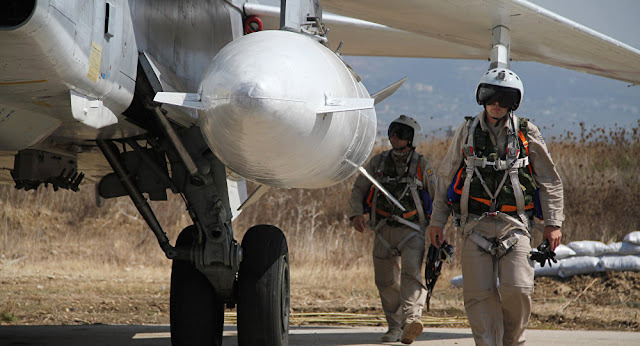 Today – just as US policymakers had planned the US and its proxies would do in 2012 – Syrian forces can at any time during this current conflict or after it – expand incrementally into America’s “safe-zone.” The crossing of the Euphrates and the increasingly exhausted political legs the United States stands on regarding its military aggression in Syria, combined with Russia’s direct military intervention upon Damascus’ request – have severely complicated this “safe zone” policy. It is no longer a matter of “Assad” being “foolish enough to challenge these zones,” they are being challenged, regularly, and by Syrian forces backed by Russian airpower, which is in turn backed by a nuclear deterrence preventing the sort of escalation against Damascus US policymakers envisioned before the Russian intervention. In essence, the crossing of the Euphrates represents geopolitical judo – an example of US policy describing an act of military aggression, invasion, occupation, and conquest being turned into a tactic of defense and the incremental uprooting of a foreign invader and the neutralization of its militant proxies. Attempts have been made – and have mostly failed – to foster greater conflict between Syria’s Kurdish minority and the government in Damascus. While seizing back every inch of Syrian territory may not be realistic in the near future, it is very possible in the intermediate future as America’s “guarantees” to the Kurds become increasingly irrelevant and as Damascus works on a deal to bring various groups, including the Kurds, back under the protection and prosperity of a unified Syrian state. Syria’s Kurdish minority can only realistically hold small swaths of Syrian territory, confined mainly in the northeast. The Kurdish forces may have pushed toward Raqqa and even further south toward Deir ez-Zor with the help of significant US military support, but they now find themselves trying to occupy territory with no demographically significant Kurdish population present. A mainly Kurdish administration, or an Arab administration dependent on Kurdish military protection, is unsustainable. Time and momentum are on Damascus’ side. Syria’s Kurds face an unsustainable future as America’s proxies inside what is essentially an American “safe zone.” Syria’s Kurds have a much more sustainable future should they strike a deal with Damascus for greater autonomy. It is a crossroad quickly approaching, and one that will decide whether Syria faces years more of foreign-driven conflict, or the prospect of internal peace and prosperity.